Big THANK YOU to BOLD Arts for their magnificent support of Music Rising! They are the stars of tomorrow! 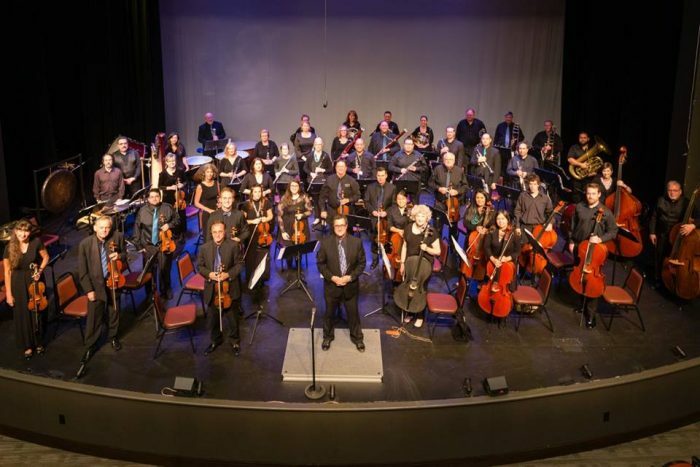 We would like to send a tremendous THANK YOU to ECHO: The Energy Corridor of Houston Orchestra for the wonderful night of music and their generous support of Music Rising! So many lives will be brightened, together we will continue to bring back the music! 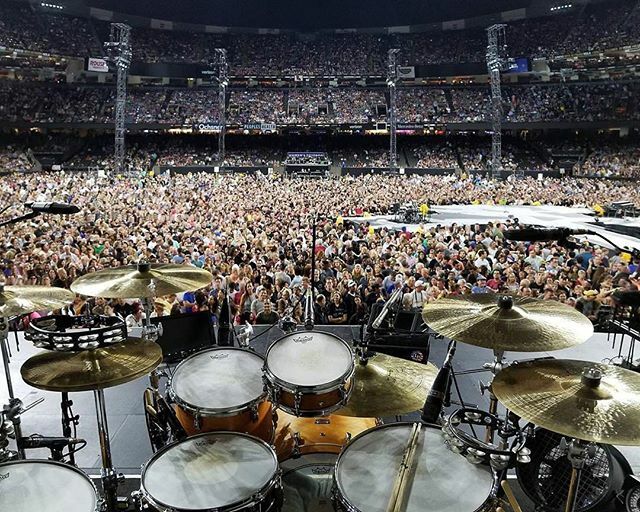 Thank you to CMA Country Music Association for their generous gift of $500,000 to support #musiced in Houston’s Independent School District and $200,000 to help schools affected by Hurricane Harvey through Mr. Holland’s Opus Foundation‘s natural disaster relief fund, Music Rising. 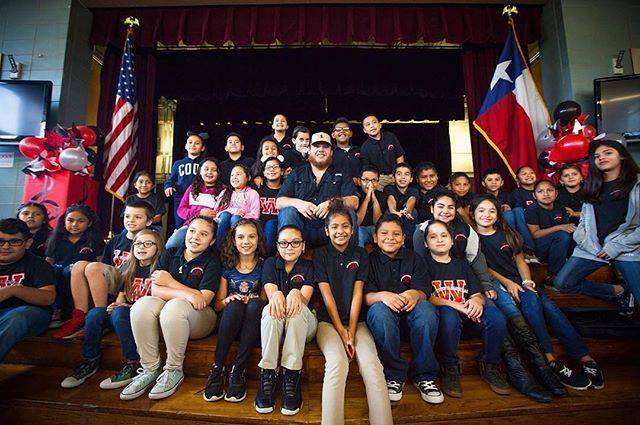 Very special thank you to CMA Awards New Artist of the Year nominee, Luke Combs for helping us make this announcement a special event for the kids. The recovery has begun in the State of Texas following the devastation of Hurricane Harvey. 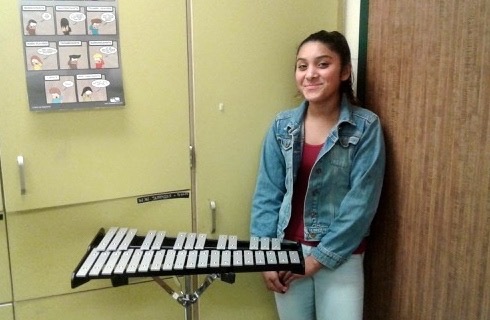 It made us happy to receive this beautiful photo from band director John of his student Yadira who was all smiles after receiving her replacement musical instrument from Music Rising. There is a lot more work to be done and we thank you all for your continued support and donations. During this season of giving we’re pleased to announce that Yamaha Music USA is partnering with the Mr. Holland’s Opus Foundation and Music Rising to provide new musical instruments to schools affected by natural disasters. Share your story and Yamaha will donate an instrument. Click here now to learn more about how you can help! 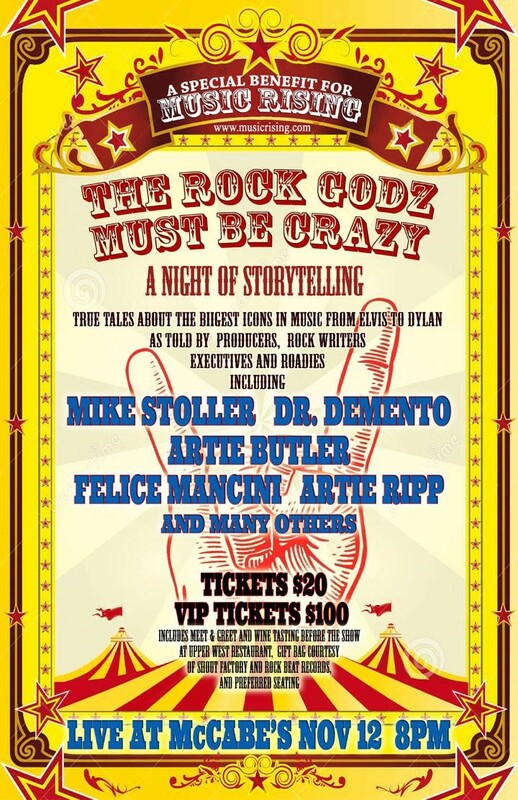 A Night of Storytelling True tales of the biggest icons in music from Elvis to Dylan as told by producers, rock writers, roadies and others who were there. Featuring Mike Stoller, Dr. Demento, Artie butler, Felice Mancini, Artie Ripp and more! Includes preferred seating, wine tasting and meet and greet at Upper West Restaurant, special gift bags courtesy of Shout! Factory and Rock Beat Records. As we continue to raise donations to help replace the instruments lost in schools affected by the devastation of the recent hurricanes, we are pleased to share this note of gratitude from Linda Fletcher, Director of Fine Arts, Pasadena ISD in Texas. “There have been many tears shed over the past month as a result of Harvey, but none more welcome and beautiful than those each time I read an email from Music Rising helping our students get music instruments back in their lives after Harvey’s devastation. Now, more than ever, they need their instrument and Music Rising has made that possible for over 50 of our students. On behalf of the Pasadena Independent School District, our amazing band and orchestra directors and our precious students, please let me express our unspeakable gratitude for the generosity of Music Rising. As a suburban district, we are often overlooked as one that serves a community of hard working families who even before the storm often struggled to make ends meet, much less find the financial means to allow their children to participate in the Fine Arts, particularly band and orchestra where obtaining a musical instrument can be daunting. Pasadena ISD, its administration and school board all believe that the Arts, and music in particular, are important building blocks in overall education. PISD is now in our 11th year as one of the Best Communities for Music Education and a large part of that is the tremendous financial investment PISD has made in making instruments available to students from every financial situation. Our annual rental policy is only $30.00 per year and when that is not feasible, we make arrangements to underwrite their rentals. The rental fees go solely toward repair and maintenance of the instruments and purchasing additional instruments when possible. After teaching elementary music and Intermediate & High School choir for 30 years in PISD, I have been blessed to serve as the Director of Fine Arts for the past 12 years. 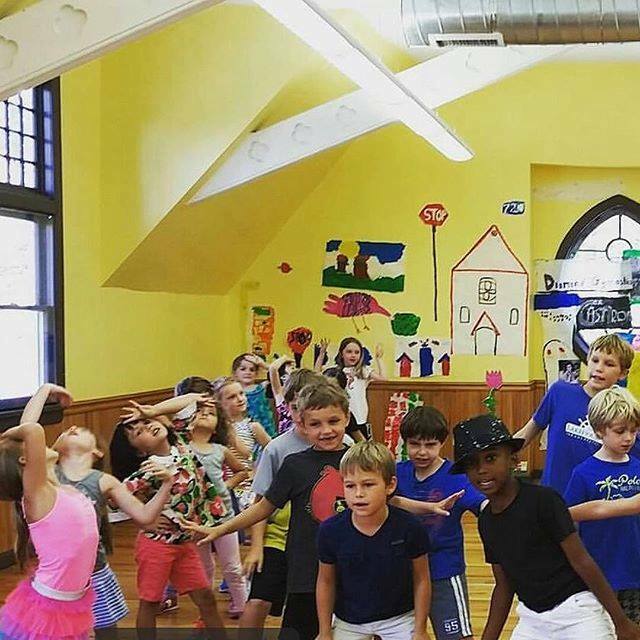 Our Fine Arts faculty now consists of 299 teachers and directors serving over 90% of our student population in K-12. We are blessed to have been directed to you during this time of need. Words are often incapable of expressing our true feelings but in His wisdom, God gave us music. Thank you for helping us keep the music playing in our schools! 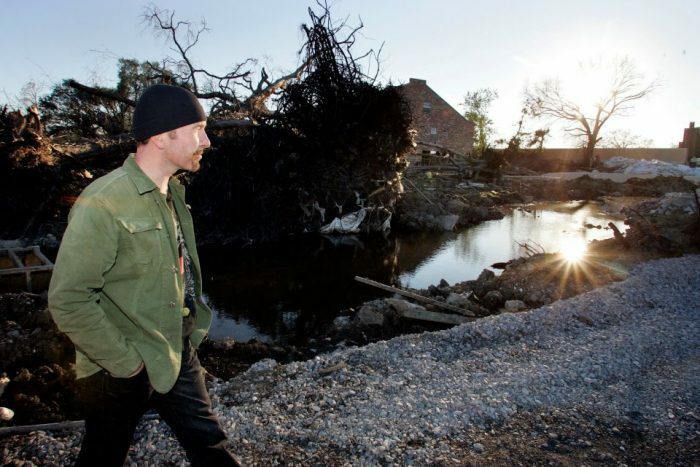 A message from Music Rising co-founder The Edge. Together we can restore the music. Please click ‘Donate‘ to contribute. Thank you for your continued support.